Mike Brown makes sure Shaw neighbors have a drink in hand and an old bowling-alley-bar to belly up to. 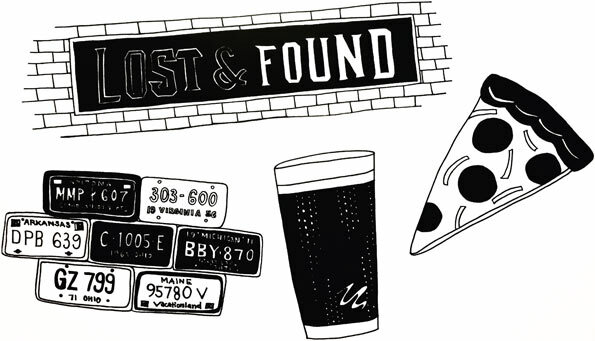 Lost and Found is a bona fide neighborhood bar with a craft beer and whiskey list that’s as carefully curated as its memorabilia. In charge of day-to-night operations is Mike Brown, general manager. He’s talking brews, music, and how life collections became part of The Life Collective. L: Have to ask. 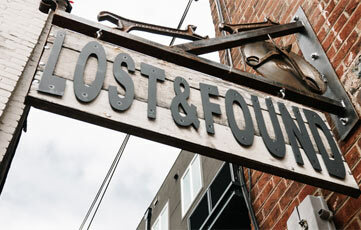 How did you come up with the name Lost and Found? 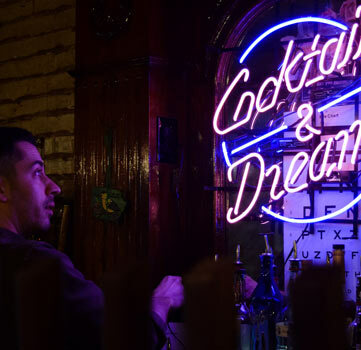 MB: The bar’s name comes from its look—it is decorated with recycled items that one of the partners collected throughout his life like old record covers, license plates, family photos/class pictures, etc. The bottle display piece against the wall behind the main bar is from a barn in Baltimore. L: How would you describe Lost and Found? MB: The owners wanted it to be a neighborhood bar and they’ve pretty much achieved that. There’s no kitchen at L&F — it’s just a tavern, which is a cool thing. There is a symbiotic relationship between L&F and the restaurants around us —they send people here to have a good time while they wait. L: What kind of events do you host? MB: The two focuses of the bar are craft beer and whiskey, so we do a lot of Tap Takeovers with breweries when they release a new beer. We’ll bring in a live band, too. Trivia night is every Monday from 8 – 10 pm and happy hours are Monday – Friday from 4 –7pm. L: Which local band should we be listening to right now? L: Describe your perfect night in Shaw. MB: Eat at All Purpose Pizza or Right Proper, Columbia Room for cocktails, and All Souls bar for a night cap. 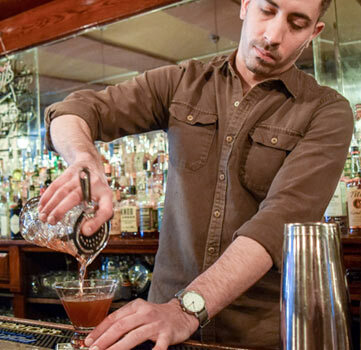 L: How has the DC bar scene changed in the last five years? MB: The coolest thing about Shaw is that we have a lot of really great restaurants opened by local small business owners, i.e. All Souls, Tiger Fork. It makes the whole scene more genuine. L: You’re invited to a gathering at The Lurgan rooftop. Which craft beers are you bringing? MB: Right now, Black Hog Granola Brown.